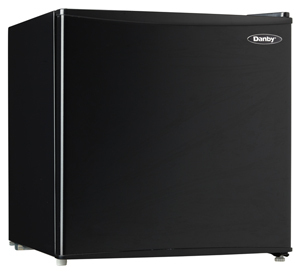 This contemporary countertop refrigerator by Danby is cool on so many levels. The classic black model offers 1.6 cubic feet (45 liters) of cooling space and the fashionable design allows it to easily integrate with any type of décor. There’s plenty of room for your favorite frozen foods since it comes with a spacious half-width freezer section. This dependable appliance also boasts a full-width and a 3/4-width door shelf as well as an attractive integrated door handle. The temperature is kept as accurate as possible with the high-tech mechanical thermostat and the manual-defrosting system can be navigated quickly and easily. The unit comes with an innovative reversible door hinge which can be adjusted for either left or right-handed opening. 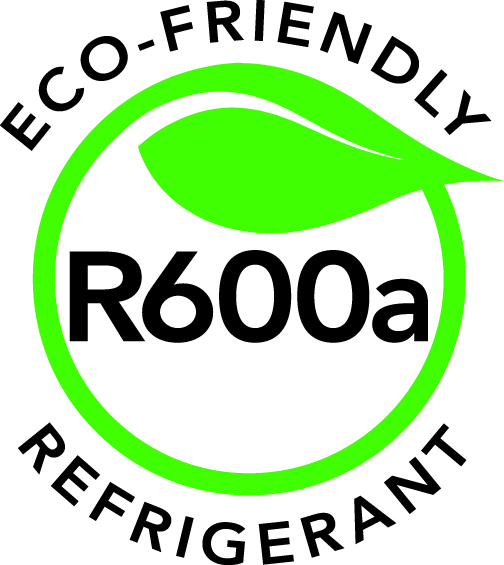 This fridge is ideal for any type of household as well as cottages and dorm rooms. It also offers 12-months of coverage on parts and labor with carry-in service.